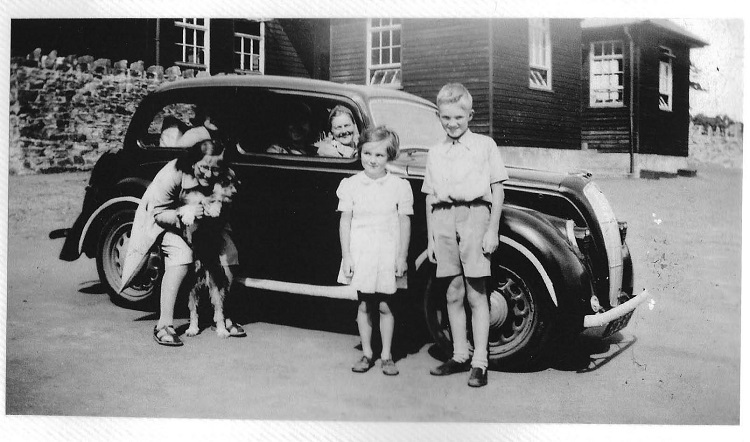 Every summer holiday up until the end of the 1960s I remember leaving our home in Newcastle and going to spend a day visiting the elderly couple we knew as ‘Aunty’ and ‘Uncle’. They had retired to the Old Schoolhouse in Bampton Grange, and my sister Sarah and I would spend hours on the banks of the river at the end of their garden with our fishing nets, catching sticklebacks and tiddlers. We knew that our mother, Gwenda, also called the couple Aunty and Uncle and that she had been evacuated to their home during the war, but I don’t think I really understood the concept of evacuation at that age (I was only seven or eight years old on our last visit, before they left Bampton due to ill health). As I was the sort of girl who liked writing stories, Gwenda sometimes told me I should write about her adventures as an evacuee one day, but it wasn’t until much later – having written three other books which, more by accident than design, had turned out to be memoirs – that I took the plunge. 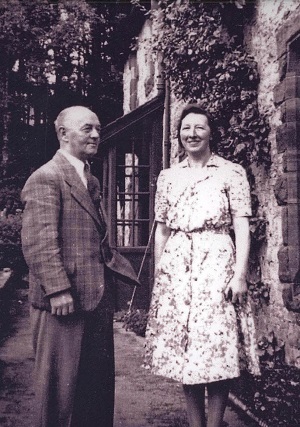 I discovered how in July 1940, six-year-old Gwenda and her nine-year-old brother, Douglas, travelled by train from Newcastle to the county that was then known as Westmorland, how they were lined up in Bampton’s village hall – not unlike cattle at auction – and how they were the only children who had not been chosen when the wife of the local headmaster arrived. As the mother of two sons, Mrs Thornton had no intention of taking a little girl but was persuaded to do so when she heard that their mother wanted them to stay together - and that the boy had the same name as her husband. And so the children found a new home in the schoolhouse in Bampton with the kindly Dougie and Eveline Thornton, who were also devout Methodists. Coming from a non-church-going family, they found it a shock to have to attend chapel three times on a Sunday, say grace at meal times and prayers at bedtime, though they soon got used to these new rituals. 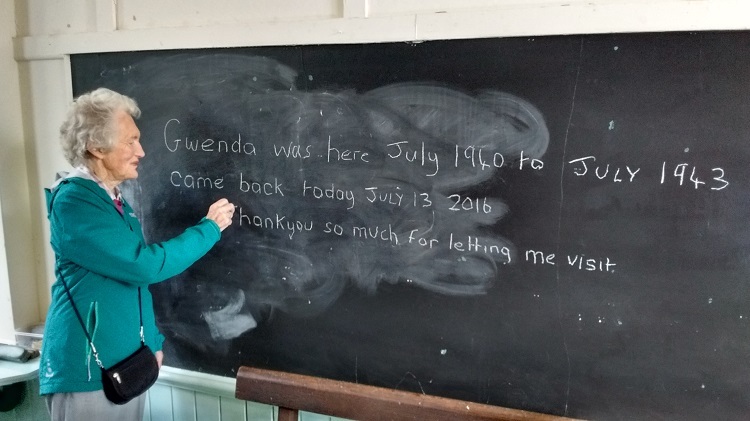 “Dear God, please bless Mam and Dad and keep them alive until the war is over,” they prayed every night, while Gwenda added a silent prayer of her own that she wouldn’t wet the bed – something she still sometimes did at home. 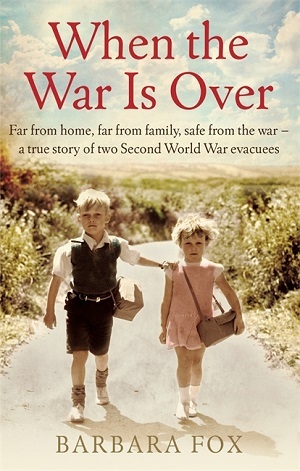 ‘When the War Is Over’ tells of the three years Gwenda and Doug spent with the Thorntons in the house that was then known as Westwood – and that since the closure of the school in 2005 has been a private home. It tells of the rituals that came with each new season – long summer days spent in the company of a group of holidaying teachers; fruit picking for the war effort in the autumn; frugal but happy wartime Christmases; escapades in the snow and the floods. They were joined for half of that time by a fellow evacuee called John Stacey, whose family home was in Kent but who was a regular visitor to Bampton as his father owned property there. On occasional visits home, the children witnessed the effects of war on their home city – and devastation on their own suburban road. Inevitably there are some sad moments in the book, some of them related in the short first-person accounts from children who stayed in Newcastle during the war, which I included as an antidote to Gwenda and Doug’s relatively peaceful existence. But though it is a book set in wartime, I think and hope that it encapsulates the cheerfulness and fighting spirit of the home front during those years. Rather like the now ubiquitous poster, people really did just “Keep calm and carry on”.